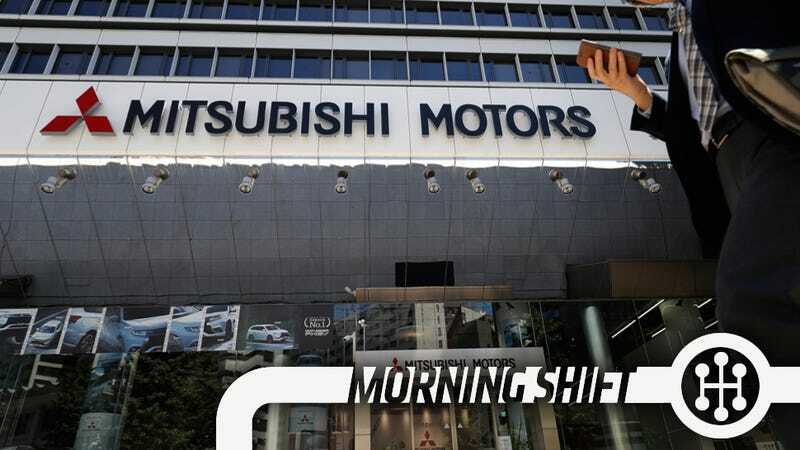 Less than a month ago, Mitsubishi Motors President and COO Tetsuro Aikawa strongly denied to everyone in earshot that he was planning on resigning over Mitsutireinflategate. Both because this is possibly the dumbest scandal ever possibly conceived, and also, I dunno, maybe pride? He went so far as to say that he hadn’t “even had a chance to consider” the mere possibility of resigning. How’s that going now, BBC? Mitsubishi Motors has announced its president, Tetsuro Aikawa, will step down in the wake of the company’s test-fixing scandal. In many ways, Aikawa appears to be the fall guy. This thing has allegedly been going on for years, and Aikawa only took the reins in 2015. But now that Nissan will soon be in control, expect more heads to roll. Already, another senior executive in charge of quality and product strategy, Ryugo Nakao, is out as well. 2nd Gear: Et Tu, Suzuki? Suzuki Motor today said it had used fuel efficiency and emission testing methods that were different from Japanese regulations on 16 models now sold in the country, but that proper testing showed no need to amend the data. Apparently Suzuki was basically just using lab tests of individual components, like tires and wind resistance, and then combined them all together in a computer to get a result which was somehow still accurate. Well, I guess that’s... whatever, really. You went about doing your own emissions testing in a slightly weird way, but no harm no foul, right? Over the three-month period ending Aug. 31, the trade group expects an average of 95,500 more airline passengers a day than last summer. That includes fliers traveling overseas on U.S. carriers. To accommodate the record volumes, airlines will be offering 2.78 million seats a day, an increase of more than 100,000 seats a day from last summer, the group said. 231.1 million passengers are expected to fly on American carriers alone this summer, which is too many. Everyone else stay home, I got places I need to be at. 4th Gear: Wait, Is A Chinese Company Going To Buy Fiat Chrysler? Milan-listed shares in Fiat Chrysler Automobiles rose more than 3 percent today after a media report suggested that China’s Guangzhou Automobile Group was considering making an offer for a majority stake in the automaker. Il Giornale daily said in an unsourced report that Guangzhou Auto, which already has a joint venture with FCA in China, may be interested in buying a stake. “The market is betting on rumors that their Chinese partner wants to enter the group,” a Milan-based trader said, adding the stock was also recovering from a fall in the previous session when the carmaker was hit by a broker downgrade. I could totally see this happening from one perspective, which is that FCA head honcho Sergio Marchionne is the saddest man in cars, and that all he wants is for someone to take him to the dance. But on the other hand, would even a Chinese company looking to enter the lucrative American market want to deal with the American government? Because you’d have to put up with a hell of a lot of that if you owned FCA. And also, who the hell would want to own FCA right now? The government sued VW in January, accusing the German automaker of installing illegal devices to defeat emissions controls on almost 600,000 Volkswagen and Porsche models with 2.0 liter and 3.0 liter engines in the U.S. The U.S. claims over 3.0 liter engines, covering about 85,000 vehicles, are “inconsistent” and lacking facts to support that “any of the VW defendants knew about any defeat devices in 3.0L subject vehicles,” VW said in court papers late Monday. Dismissal of these claims wouldn’t affect the current “settlement agreement in principle” over almost 500,000 vehicles with 2.0 liter engines reached with consumers and government agencies, the company said. It also wouldn’t impede settlement negotiations over the 3.0 liter engines, VW said. This whole thing must be a field day for lawyers. In Monaco, France, on this day in 1958, Team Lotus makes its Formula One debut in the Monaco Grand Prix, the opening event of the year’s European racing season. Over the next four decades, Team Lotus will go on to become one of the most successful teams in Formula One history. Neutral: Who Should Buy Fiat? Anyone who says Ford or GM is bad and wrong.